Pull up the details on the Franklin County town of Ashfield, and it might look like a sleepy little drive-through of a place: population hovering somewhere under two thousand, a pizza place that gets good reviews, a lot of trees. You could be forgiven for thinking that it didn’t have a lot going on. But boy, would you ever be wrong. The town has always been the sort of tight-knit place that makes its own fun. But for the last eleven years, one event has brought the townspeople together like no other: the annual Ashfield Film Festival. Begun in 2007 by Tamsen Merrill and Harry Keramidas, the festival started out as a bit of a lark, with the winner of the locals-only competition awarded the “Baby Cecil” trophy, a golden cherub meant to honor the town’s famous son (and, somewhere further down the line, Hollywood legend) Cecil B. DeMille. This September, the baby is up for grabs again. The 2018 events get underway at 7 p.m. each night from Thursday, September 13th through Saturday the 15th, and offer a variety of work from short pieces submitted by locals — this year marks the first time that films about the nearby towns of Buckland and Shelburne will be included in the screenings — as well as feature length works. In an email exchange with the Advocate, festival co-chair Tamara Sloan noted that “I’m really excited about all three evenings of films. Friday night brings in another documentary that looks back at a nearly forgotten bit of Vietnam-era history: The Donut Dollies. 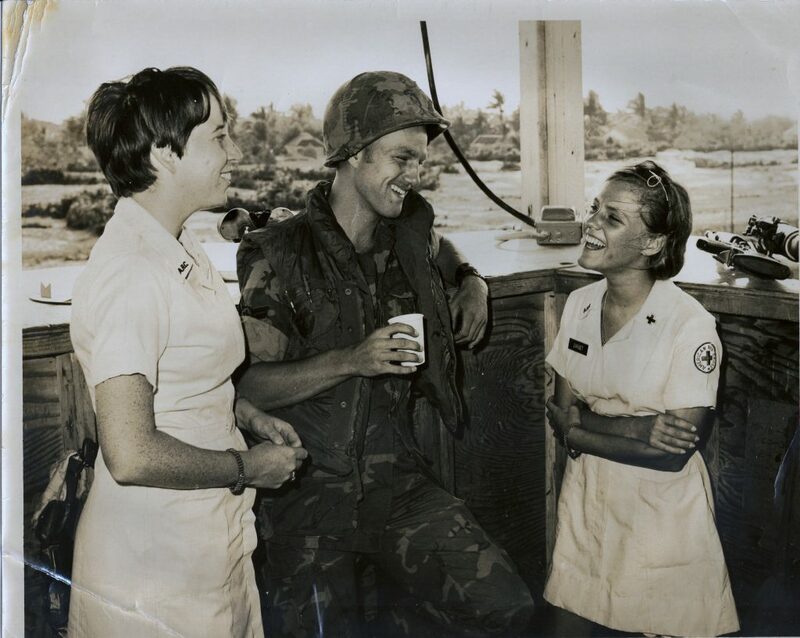 Filmmaker Norm Anderson is the son of one of the Donut Dollies, a group of American women who served during wartime as part of a Red Cross volunteer program; officially, the Dollies were part of the Supplemental Recreation Activities Overseas (SRAO), but one can see why that name didn’t stick. Packing baked goods, entertainment, and a touch of home, the women gave up the sure safety of Stateside life to bring some cheer to American troops abroad. To tell their story, Anderson and producer Jess Hill brought two of the Dollies —Anderson’s mother Dorset, and her best friend “Auntie Mary” — back to Vietnam for the first time since their 1968-69 tour ended. Dorset and her son will be on hand with other veterans for a post-screening discussion about the film, the Dollies, and what their Vietnam was to them. And finally, Saturday brings the main attraction: the short film competition that makes the festival such a local favorite every year. Even in an area of the state with such a high percentage of creative types, I believe you’d be hard pressed to find a community so dedicated to coming together as Ashfield has been each year. (The fest has become such a hit that film-making workshops have been added over the last few years to help the town’s potential DeMilles get used to the process of moviemaking.) If you’ve never been, take a slow Saturday drive out to Ashfield. Go early, sit by the lake. Try that pizza everyone talks about. And when the sun gets a little low, follow the crowd to Town Hall, and feel a little bit sorry that you don’t live in Ashfield.